Thanks to the contributions of our readers, including our Facebook followers, we can now give you a bit more of the story of the mysterious T. Roberts, for whom we hold a certificate of the Serbian Gold Medal. 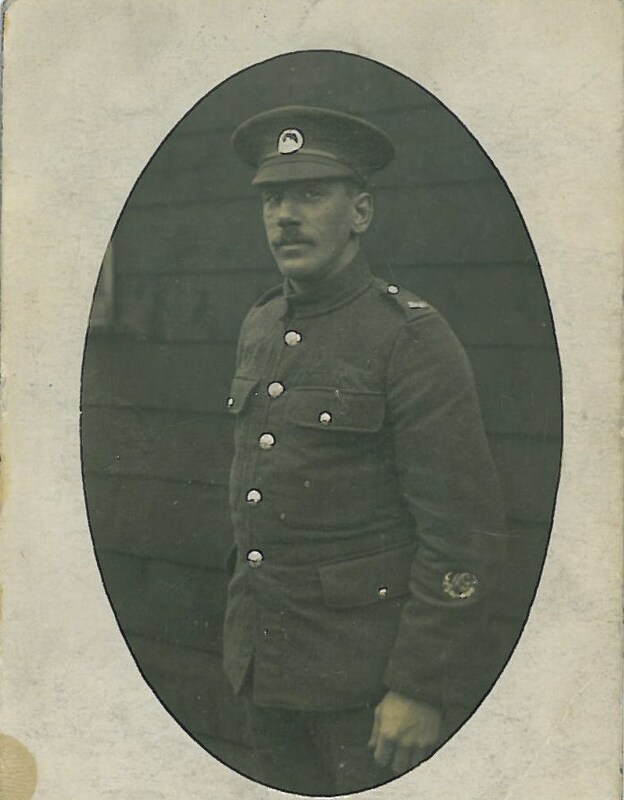 Company Quarter Master Serjeant Thomas Roberts enlisted in the Royal Army Service Corps at Wolverhampton on 21 May 1915, Service number M2/101473. He served in Salonica with 605 Company Motor Transport, landing there in 1916. On 5 March 1916 he was posted to the British Mission with the Royal Serbian Army, and was later awarded the Serbia Gold medal for his service there. Thomas lived at 15 Maxwell Rd Wolverhampton and was aged 26 years on discharge. This means that he is presumably the Thomas Henry Roberts whose birth is registered in Wolverhampton in June 1894, although we have not yet been able to trace his baptism to confirm details of his parents. Because we now have more concrete information about Roberts’ age, howeveer, we can confirm that this man is not the son of Frederick Stephen Roberts and his wife Emma Louisa Bantock, as he would be much older. As we mentioned in a previous post, after the war he became Senior Assistant Curator at Wolverhampton Art Gallery (having been employed as a motor bus driver before the war). In 1948 he was promoted to Curator. Thank you very much for all your assistance with this mystery! As we mentioned previously, our volunteers have been hard at work scouring the local newspapers, in particular the Express and Star for mention of First World War stories which are relevant to Wolverhampton. Private William Perry, 2nd Coldstream Guards, of Chester Street, Wolverhampton (commemorated in Poperinghe Old Military Cemetery). This post continues the story of James Maddocks, the great-grandfather of our volunteer, Lisa Gibbons. 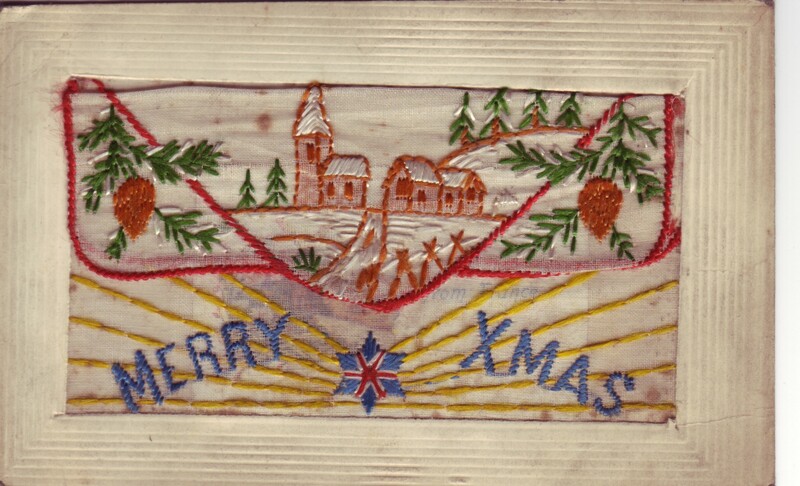 In a small box of photographs and mementoes there were found the beautifully embroidered cards that were sent from France, cards sent to France by Mary Jane and below, a contemporaneous account of the Battle of St Quentin Canal near Bellenglise. British, Australian and American troops were involved. Amongst them the 46th Midland Division fought, crossing the canal,(the bridge over it was fortified by machine gun posts), capturing 4,200 prisoners (out of a total for the army of 5,300). 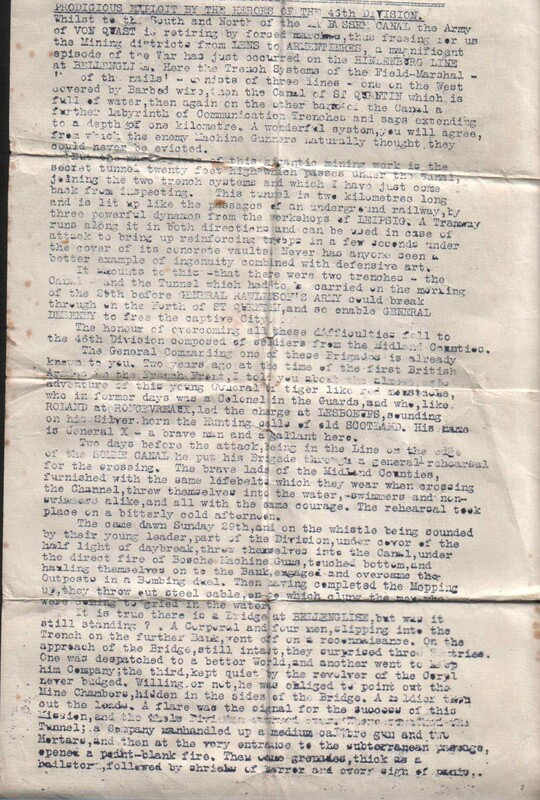 This action started on the 29th October 1918, together with other co-ordinated and continued attacks and by the 2nd October there was a 17km breach in the Hindenberg Line. This was found folded to the same size of James’ bible. Inside the Bible are listed the names of his two children and their dates of birth. This description is graphic, actions and bravery outlined, Generals are described but not named, they are held in obvious high esteem. This would appear to be an edition of a front line ‘magazine’ designed to boost morale and provide information that may not have been forthcoming from other quarters. The Hindenburg Line had been smashed and the Armistices had been signed, but at Christmas 1918 James and the 46th Division were still not home. This card was sent back to Ettingshall. 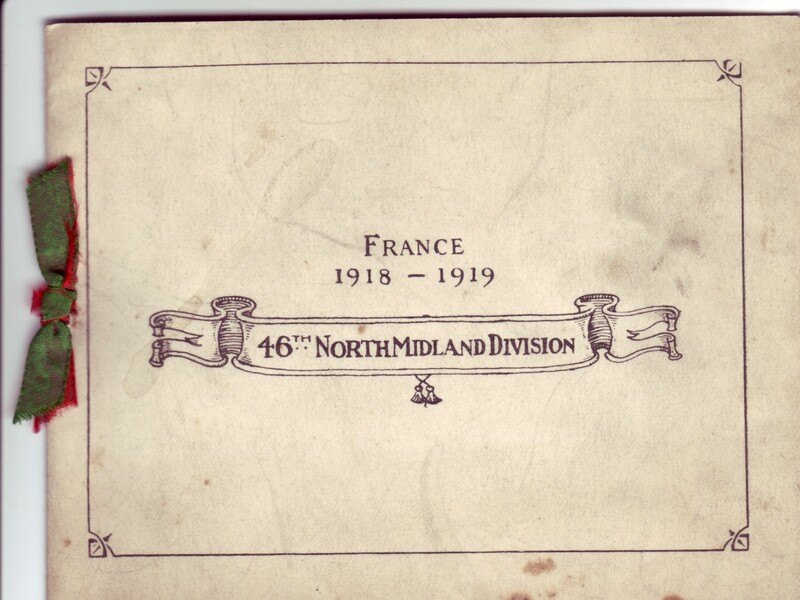 There are scores of postcards – sent to and from France; this was the limit of communications. At no time does James refer to any actions that have or are being taken and at no time does he mention anything that will upset his wife and family. 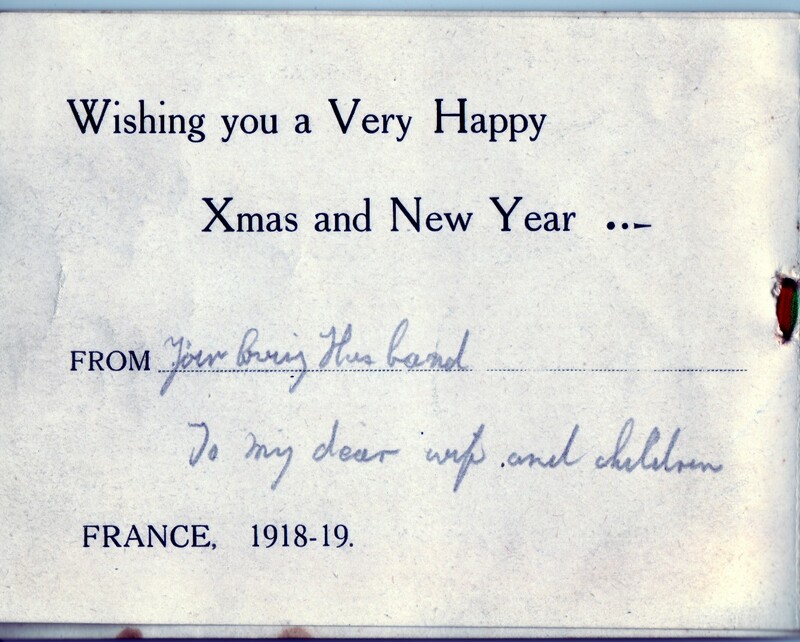 The following card was sent at Christmas 1917 when James had been in service for about eighteen months. 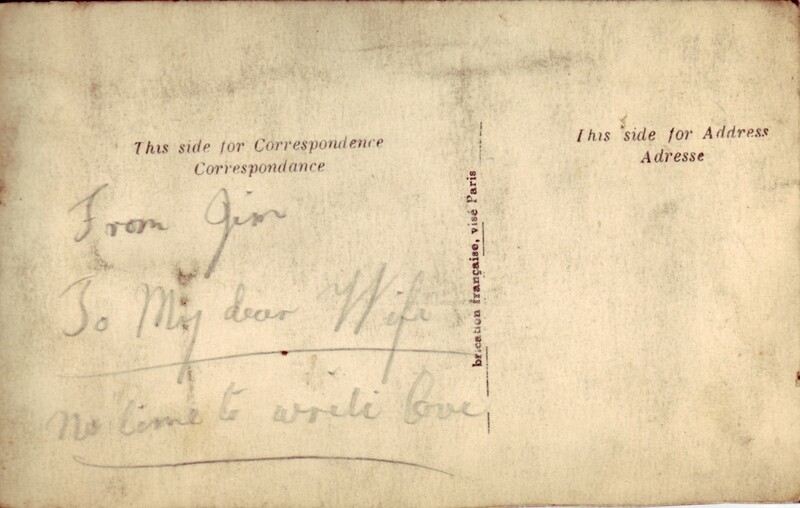 Though it would seem my Great Grandfather was not a man of many words, the words he did send were heartfelt and his wife was never anyone but his ‘dear’ and ‘sweetheart’. The brevity of this message is thought provoking and heartbreaking. Jim was ’Transferred to Reserve’ and he kept his demob notice in his box. He returned to his wife and family in Priestfield. He and Mary Jane added seven children to their brood. Two of their daughters died in early infancy in the 1920’s. The family was eventually re-housed after the war on the new Millfields Estate. Jim Maddocks, with his sweetheart, Mary Jane, taken in the 1940s. He continued to work in the brass industry. In 1922 Jim was working at the factory in Dudley Port where nineteen young girls (employed dismantling World War 1 shells) were killed after a spark from a coke burner caused a massive and catastrophic explosion in the small building in which they were working. Jim witnessed this and Hilda Sleigh, his only surviving daughter was told that he was deeply affected by this tragedy. With thanks to Mrs Hilda Sleigh and the Grandchildren of James Maddocks for their use of family photographs, documents and cards. Priestfield Rovers 1912 (Priestfield, Ettingshall, Bilston). 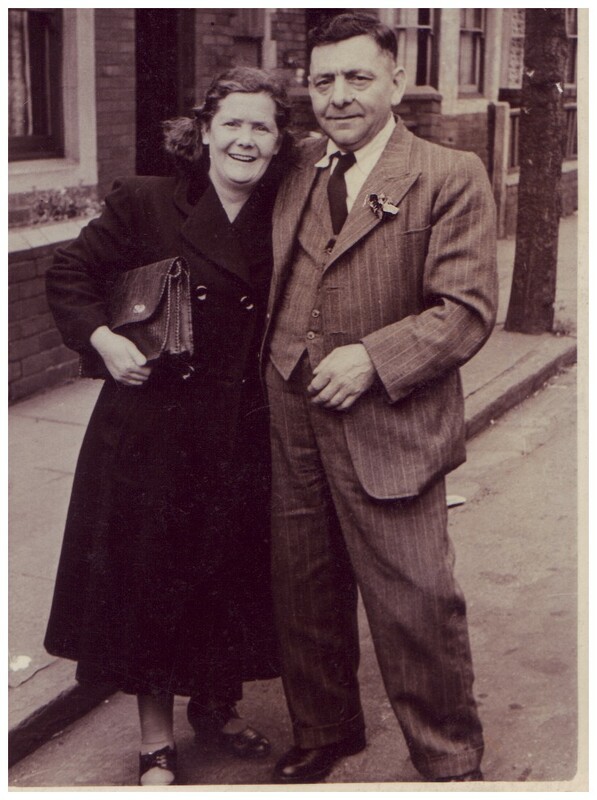 This blog posting has been prepared by Lisa Gibbons, and is the story of her great-grandfather, James Maddocks (29 June 1893 – 7 October 1950). James Maddocks was born in Ettingshall, Bilston on 29th July 1896, the ninth child born to William Henry and Elizabeth Maddocks, who would, in all, produce fourteen children. Aged 6 he is shown living with his parents and siblings in the Maddox Buildings, Wolverhampton Road, Ettingshall. His father was a Coal Merchant/Horse Driver. Two of his older sisters worked as ‘bolt screwers’ at the Hurdle Factory. By 1911 he was a seventeen year old working as a Brass Caster, still living with his parents and youngest brother in Ettingshall at 4 Wards Buildings, Priestfield. The census tells us the awful truth that William and Elizabeth had suffered the losses of ten of their fourteen children by that time. 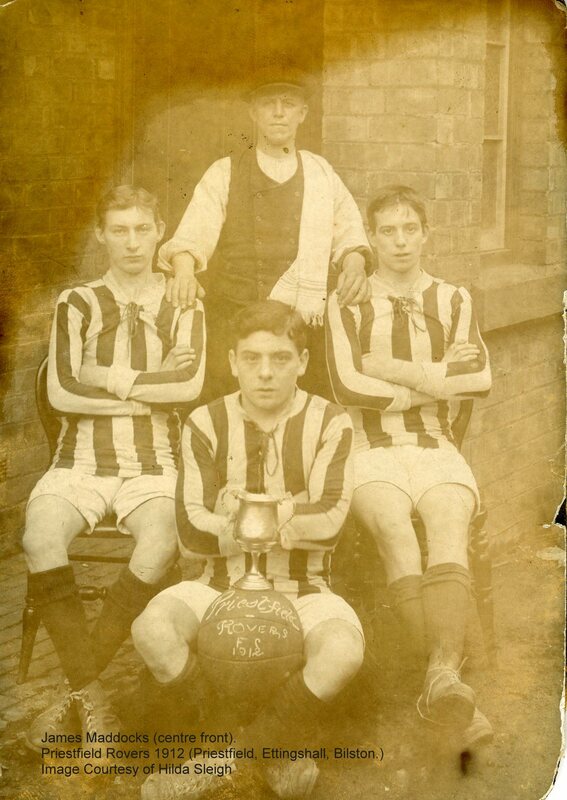 We have evidence that James (or Jim as he was known) was a keen sportsman, a photograph from 1912 shows him with several chums proudly holding a Football trophy, with a hefty leather football chalked with the legend “Priestfield Rovers FC 1912”. James continued in his occupation in the Brass Industry. He married Mary Jane Wedge 13th May 1914. On his Army Enlistment Information Form (listed under James Maddox in the National Archives) it is written that they married at “Ketchem Church” Nr Ettingshall, Wolverhampton. Whoever was recording this information was not local to Bilston or Ettingshall and has inadvertently shown us the phonetic spelling (in Bilston brogue) of Catchem Church – which would have most likely been Holy Trinity Church. (Catchem Corner is around the area of the corner of Ettingshall Road and Spring Road). At the time he enlisted they, and their son James Richard, lived at 12 Back of 14 Fleece Street, Ettingshall Village. 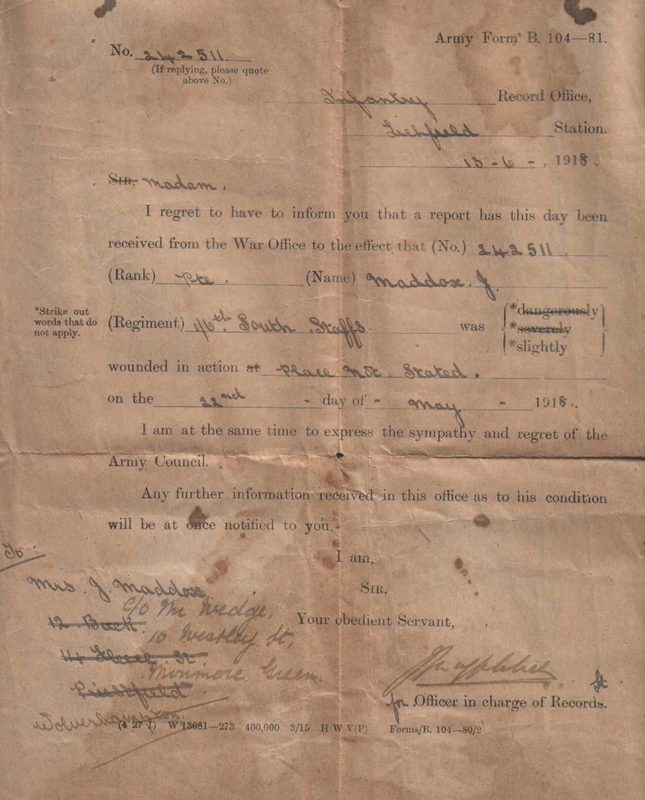 He must have, like so many other young men, entered willingly into the Great War, signing his Attestation papers in Willenhall on 11th December 1915. It is confusing that he signed his name “Maddox” not Maddocks. The name had, over the years, been spelt Maddocks, Maddox, Mattocks and Maddeckes but had settled generally in the family as Maddocks – this is how it was recorded on the 1911 census. It appears to have caused some confusion later on and requests were made to have the matter resolved. 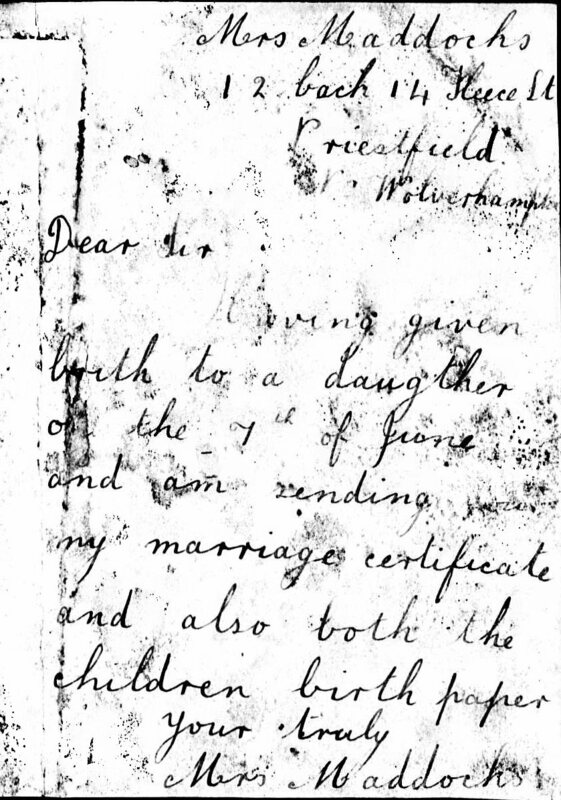 Letter from Mary Jane Maddocks informing the South Staffords that her husband was now the father of a new baby girl. He was mobilized on the 11th April 1916, leaving his wife Mary in Ettingshall two months away from having their second child Fanny. 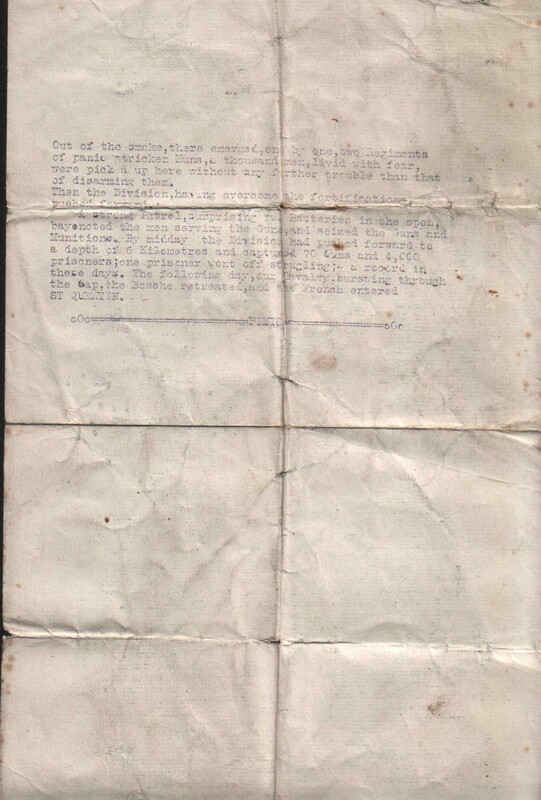 When Mary gave birth to her second child, Fanny in June 1916 she wrote to the South Staffordshire Regiment, the letter is preserved in the National Archives. This may have been the reason for forfeiting 3 days pay in July of 1916 when Jim returned two days and thirty minutes late to barracks after leave. Later that year, in the October of 1916 James’ mother-in-law, Zillah Wedge, died suddenly, Mary Jane and her two small children moved back to her parent’s home at 10 Wesley Street, Monmore Green to look after her father and youngest sister. Mary Jane’s sister Fanny was fourteen years old and working “in munitions”. 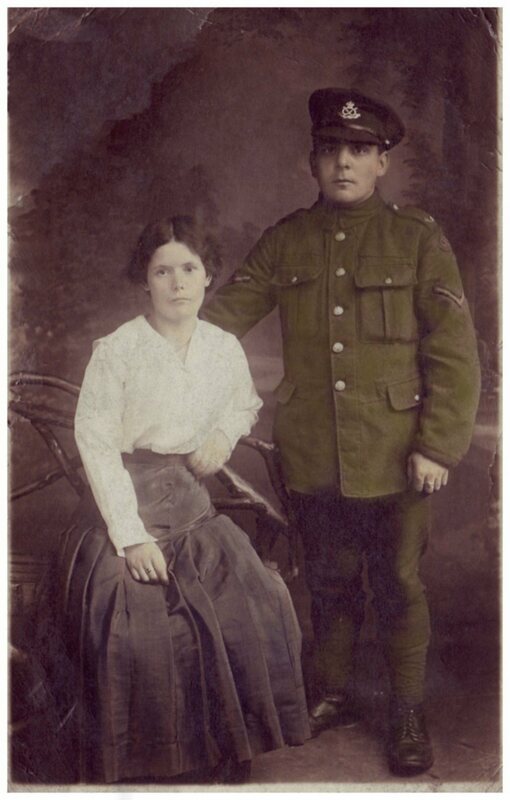 Jim went to France and operated there as a Lewis Gunner having been transferred to the 1/6th South Staffordshire Regiment (B Coy) on 11th November 1916. He joined the unit in the field on 1st December 1916 and it would seem all went well for Jim until May 1918. On the 22th he was injured by gas shells, his wife was notified that he had been slightly injured and he rejoined his unit on 7th June 1918. During the summer of 1918 Mary Jane’s brother, Daniel Wedge, had been captured and was sent to Langensalza then Zerbst POW Camp. James and Mary Jane Maddocks c.1916. James was trained as a Lewis Gunner, however it shows on his casualty form that he was also qualified as a sniper. This is apparently unusual (being a Lewis Gunner and a Sniper) and no previous mention of this had been made by his family. It may be an administrative error. The Lewis Gun was made by BSA (Birmingham Small Arms) Company Ltd., and Savage Arms. 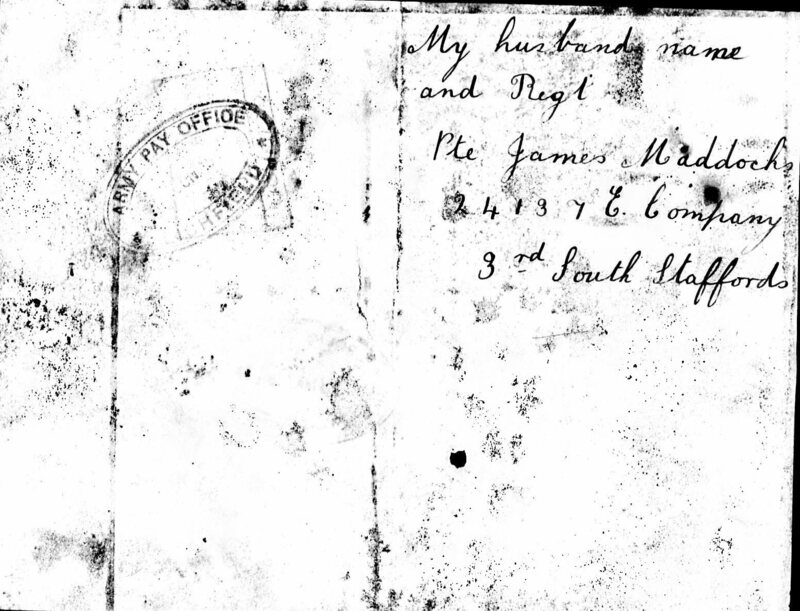 Notification that Jim had been injured on 22nd May 1918 was sent to his home address dated 13th June. Mary Jane had moved back to her old family home to look after her father Richard Charles Wedge. No details of the injury were given. He had been gassed. James rejoined the Battalion on 4th June 1918. In the days where the only communication was by post James had been gassed, sent away from the front and returned to fight before his wife and family had even received notification of his being a casualty, how different from today’s immediate communications! Apart from the Casualty form there is little to show where James fought and what he did. There is a short record showing that he was late back to barracks and once late for parade by 20 minutes – this was ‘Neglect of Duty’ and Jim was reprimanded. The confusion over Jim’s surname continued, several communications were made in order to satisfy the South Staffords Administrative Officers quest. Apparently Jim denied all knowledge of having signed his name incorrectly on his attestation papers! Further details of James Maddocks will be contained in a future blog post. Help us to solve a mystery! 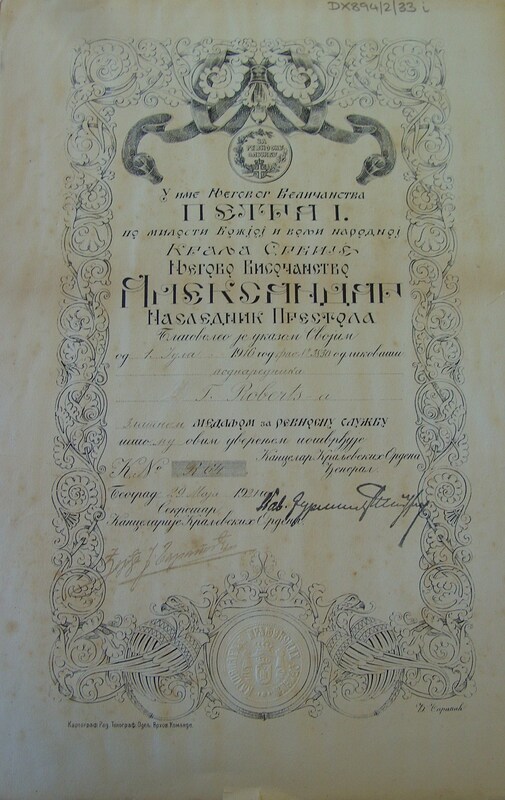 In amongst the Local History collection received from Wolverhampton Art Gallery, we have a certificate in (presumably) Serbian, although it is possibly Russian. This is certainly not something we see in our archives everyday, and our Latin and other language skills are a bit more limited in this case. Fortunately, we have a translation which has been kept together with the certificate! which is certified by this Diploma. The certificate is signed by the Chancellor of the Royal Orders, General Pav. Juristic Strum, and is dated 29 May 1921. But who was this Sergeant-Major T. Roberts? And what were his actions during the First World War that led to his receiving this award? And finally, what are his links to Wolverhampton and how has this certificate come to be in our collection? There is some information on the Serbian Gold Medal on Wikipedia. There is also a letter regarding the award of the Serbian Gold Medal to Rowland Williams in the collections of the University of Oxford. Other than that we have very little information available. If anybody is able to shed further light on this mystery, we would greatly appreciate it! Like Joseph Glaze last week, Jack Reading Caswell is listed on the Wolverhampton Roll of Honour. His brother, Thomas Reginald, also fought during the First World War, but survived. Our volunteer, Betty McCann has researched the differing fortunes of these two brothers. Jack Reading Caswell was born in Wolverhampton in 1891, to parents Thomas Reading and Anne Caswell. His older brother, Thomas Reginald, was born in 1889, and was baptised at St Peter’s Church on 28 April 1889. Their father was a hatter, hosier and shirt maker, with shops in Dudley Street and Queens Square. 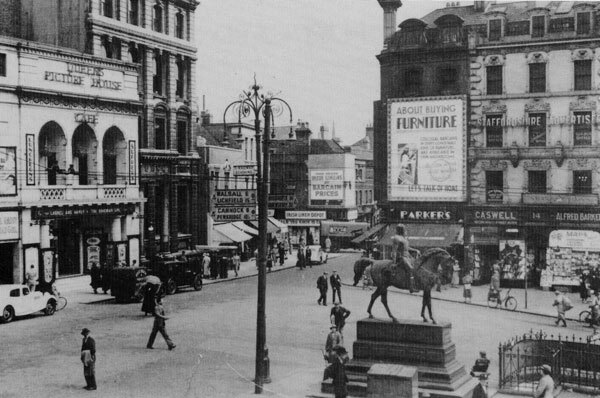 The image to the right shows the Queens Square branch, just to the right of the Prince Albert statue. Before the war, Jack worked as a Drapers Assistant, with his brother Thomas being a Shirt Cutter. Sergt. Caswell, Royal Warwickshire Regt., son of Mr F. R. Caswell, The Woodlands, Oaken, has died of wounds received in action. Research by volunteer, Betty McCann, has unearthed further information about Denis James Fallon, who we last read about on the blog in March 2013. Fallon was born on 3 December 1896 in Lower Villiers Street, Blakenhall, Wolverhampton, to parents Denis and Mabel Edith Fallon. His father, Denis, was a printer and compositor, originally from Ireland, who died in 1905 aged 45 years old. His mother Mabel (nee Morris), was born in Tettenhall, and later remarried in 1906 to a William John Fletcher. By 1911, Denis was a Hardware Warehouseman, living at 119 VIlliers Street with his mother, stepfather, 2 sisters, 1 stepsister and 3 stepbrothers. Denis Fallon became a gunner in the Royal Garrison Artillery during the First World War (regiment number 63256), being one of the few in his regiment to survive the Battle in the Somme in 1916. After the war, Denis married Alice E. Hatton on 2 August 1924 at St Luke’s Church, Blakenhall, and they lived at 22 The Crescent, Parkfield Road, Wolverhampton. They had at least one child, a daughter, Doreen, baptised 14 March 1925. Denis died on 3 December 1980 at the age of 84. Glaze, Joseph T. Pte. 7th. South Staffords. One of our volunteers, Betty McCann, has found out a bit more about him. Glaze’s birth is registered in the June Quarter of 1894, at Wolverhampton. His parents were John Glaze (who died in an accident at Wolverhampton Gas Works when Joseph was 4 in 1898) and Hannah Glaze (nee Rotton), a shopkeeper. In both the 1901 and 1911 censuses, Glaze was living at 78 Gatis Street, Wolverhampton, with his mother Hannah and his brother John Wilson Glaze. He attended St Andrew’s School. By 1911, he was working as a shop assistant in the Dairy trade, working at various branches of the Maypole Company and Masons. During the First World War, Glaze served as a Private in the 7th Service Battalion of the South Staffordshire Regiment, Regiment Number 17085. From July 1915 he served in Gallipoli, Egypt, the Balkans and Western Europe. He was twice in hospital in Egypt suffering from “trench feet”, and a cut foot. On 17th December 1916 he died of wounds sustained in Flanders, aged 22 years. He is buried at Aveluy Wood Cemetery in Mesnil-Martinsart, France, Reference. 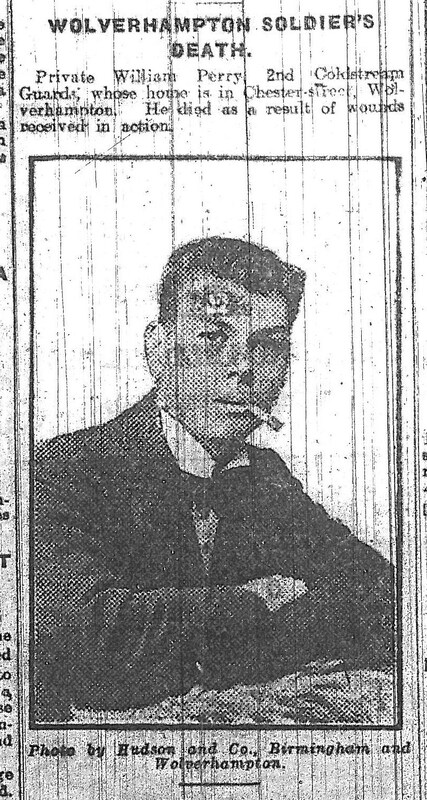 I.C.2., and he was featured in the Midland Counties Express on 6 January 1917.